[IMG CREDIT]The two organizations, along with the Illegal Money Lending Team, have joined forces to help curb the illegal loan shark activity that is overtaking the area. The organizations are desperate to educate consumers that illegal money lending is not only illegal, but can leave victims in a financial rut for years to come. One of the ways they are helping to get the message out to victims is distributing educational leaflets to nearby food banks and other locations that may get noticed by potential victims. What many victims fail to realize is that there are many options available to them…without needing a loan shark. Besides a multitude of financial advice freely available on this site, as well as others, there is a credit union, called White Rose Credit Union in the area that can help those in need with low cost financial solutions. Many of my constituents tell me they struggle month on month to make ends meet and feel pushed into using loan sharks to cover bills and the cost of living. This is not surprising seeing as energy bills are up almost £300 since the election. Loan sharks are taking advantage of this cost of living crisis and are targeting the most vulnerable people. 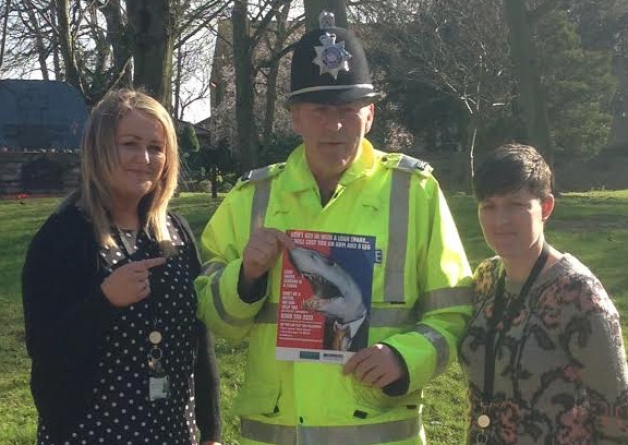 It’s no secret that loan sharks are ruining people’s lives. If you feel that you are in this type of situation, do not hesitate to call the Illegal Money Lending Team at 0300 555 2222.